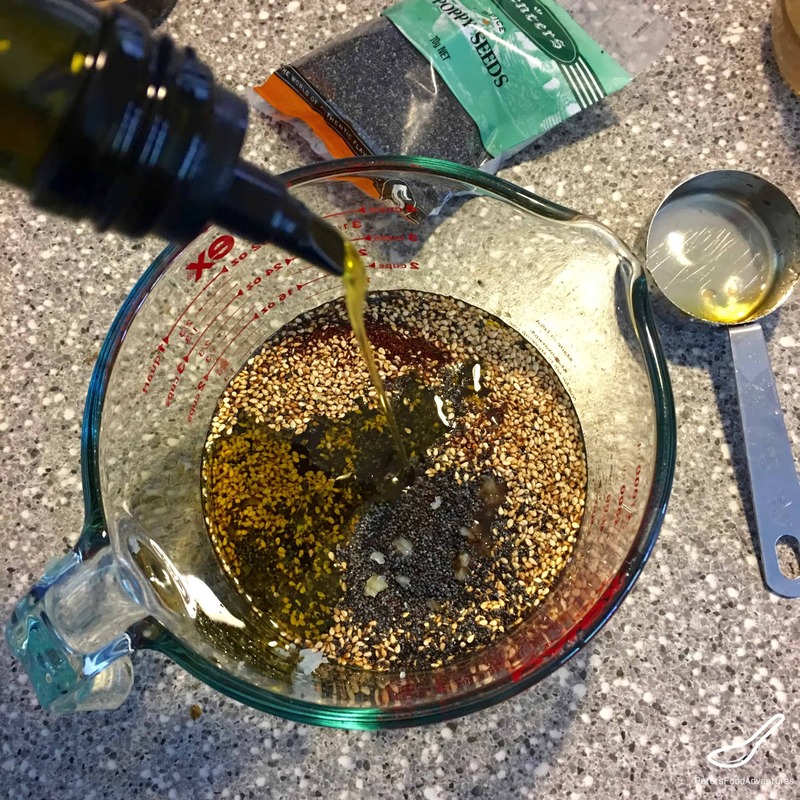 A Poppyseed Dressing recipe is a quick and easy salad dressing that you won’t be able to get enough of. When I tried the dressing, it was so good I wanted to drink it. It’s commonly eaten with Strawberry Spinach Salad. Poppyseeds have been used in cooking for thousands of years. It’s the seed harvested from the opium poppy. The same poppy that morphine and codeine is made from. Poppyseeds are prohibited in Singapore, Taiwan, UAE, and China. While eating poppyseeds will test you positive for opiate use in a laboratory setting, its so minimal, it’s not enough to impact you in any way. It’s seems like people are scared of the opium word. 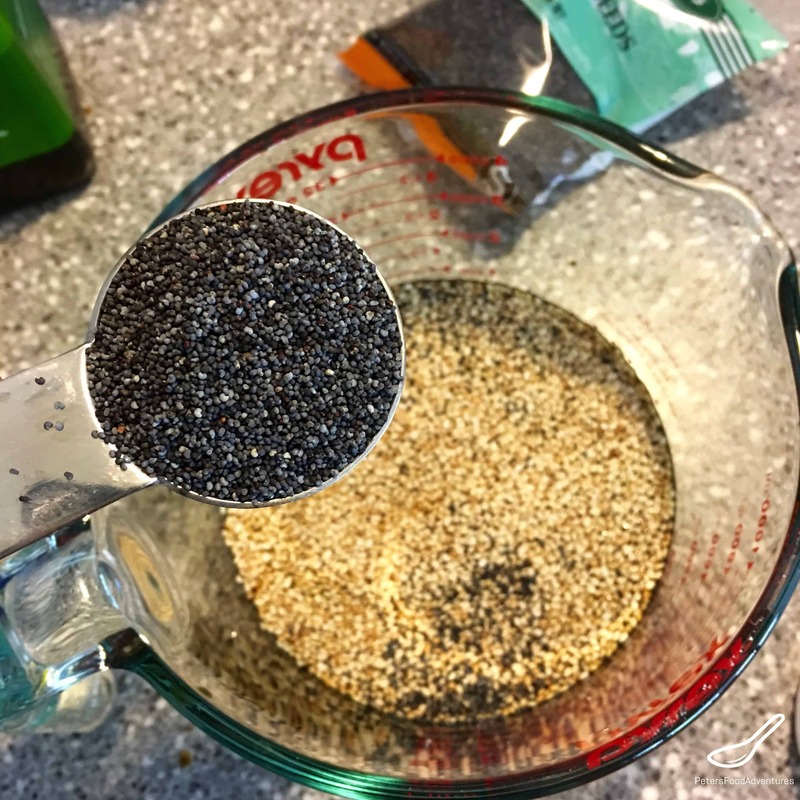 This Poppyseed Dressing recipe has sesame seeds in it, which add flavour and texture to the salad dressing. This isn’t an Asian poppyseed dressing, and has no soy sauce or Asian flavours. It’s part of a Strawberry Spinach Salad with Goat Cheese recipe from a restaurant in Kamloops I worked at almost 20 years ago. When mincing the onion, I simply use a garlic press to squeeze though the onion. It’s important not to have chunky pieces of onion in the dressing. You just want the extra zing of onion flavour, without biting into a piece of onion. This Poppyseed Dressing recipe is sure to be a hit, delicious and easy to make. You’ll never need to buy it again. Bon Appetit! Приятного аппетита! Whisk all ingredients together in a bowl. Keep refrigerated in a small glass jar. Enjoy.